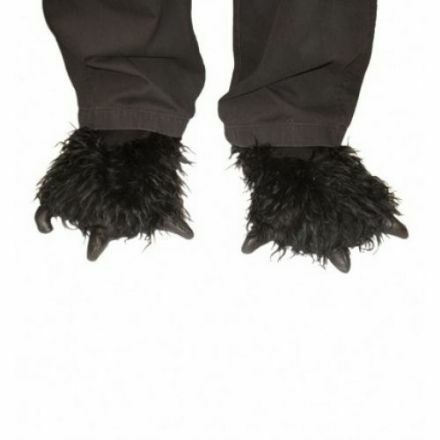 Black Fur Gorilla Feet. Fantastic and Hairy. Great for Fancy Dress Parties and Theatre Productions. 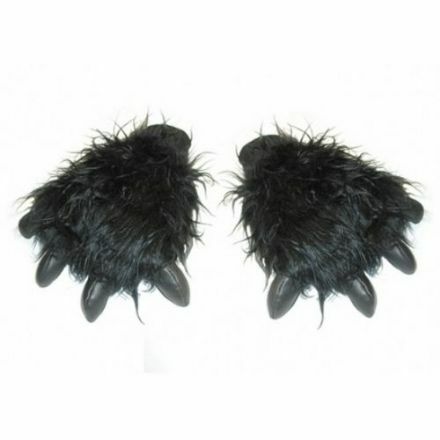 Black Fur Gorilla Hands. 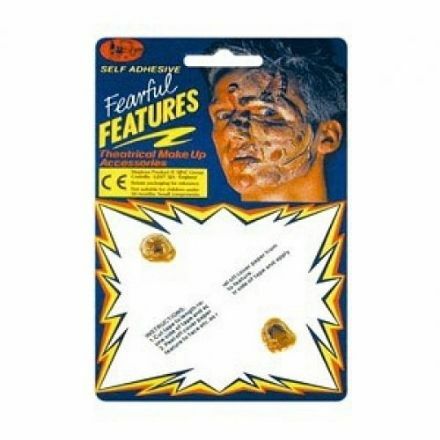 They will add the finishing touches to your Fancy Dress Costume. Perfect for Amateur Dramatics. 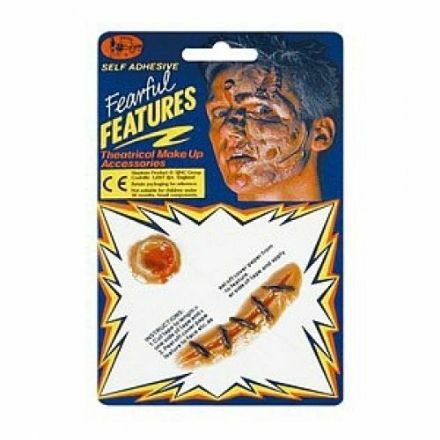 Make your fellow Zombies really jealous with these fantastic Boils. A Halloween must have! 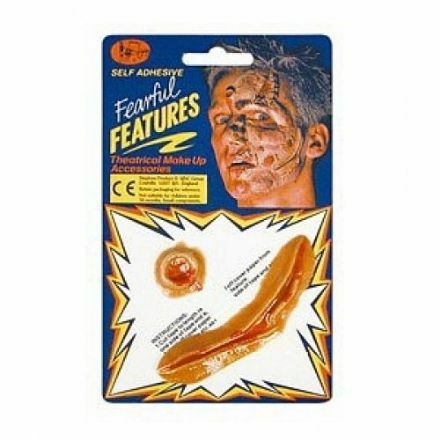 Our Giant Wound is really horrible looking and the perfect accessory for a Halloween Fancy Dress Party. 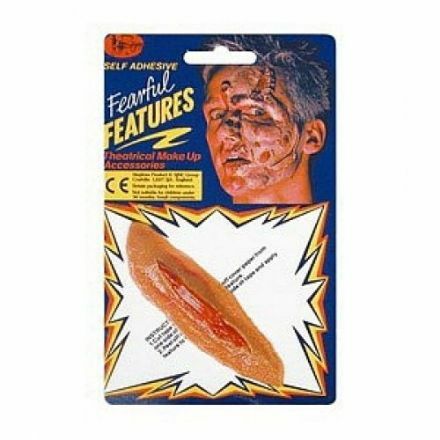 This gruesome looking Glass Gash will help to make your Zombie Costume look even scarier..
Green Ear Tips. Great for Pixies, Goblins and Orcs. Don’t leave your cave without them! Perfect for Halloween. 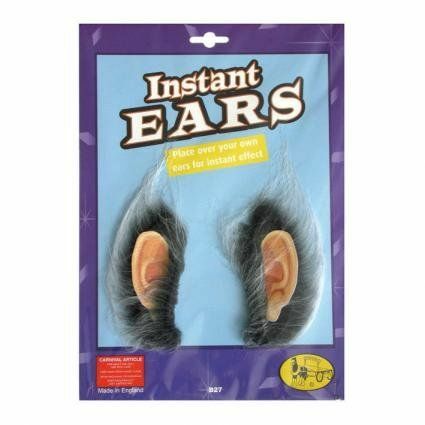 Compliment your Halloween Costume or Outfit with these quality Fancy Dress Instant Ears in Grey. 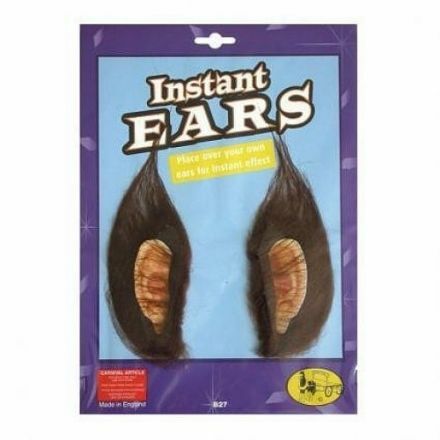 Instant Ears in Brown will make your fellow Werewolves howl with jealousy. Perfect for Halloween. 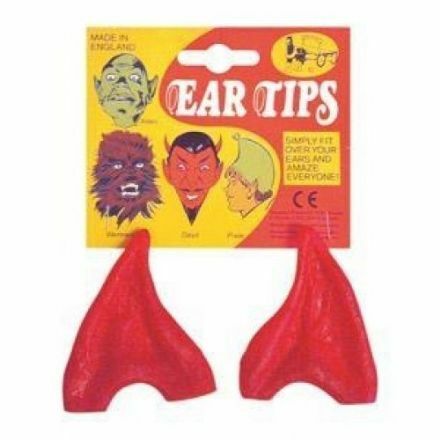 Make the other Devils from Hell really jealous with these awesome Red Devil Ear Tips. 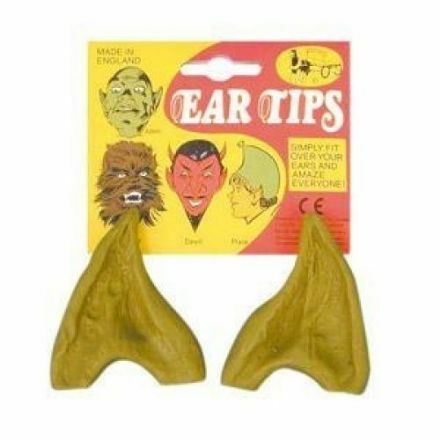 A Halloween must have. 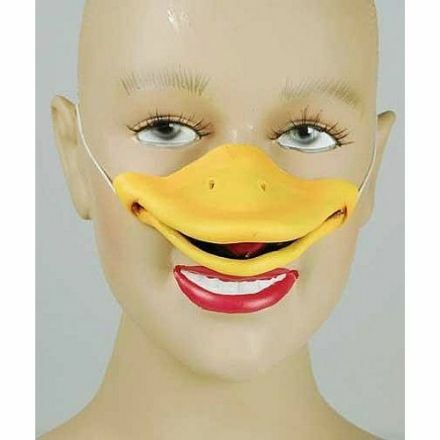 A great looking and popular accessory is this Fancy Dress Rubber Duck Nose. Perfect for School Productions and Book Week. Scar and Bullet Hole. Perfect accessories for Zombies and Monsters. A Halloween must have! 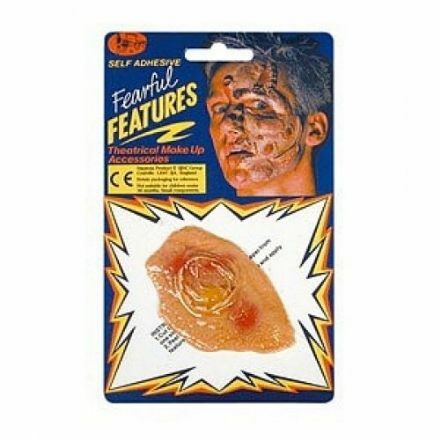 A hideous looking Septic Sore is the perfect accessory for Halloween Fancy Dress Parties and Theatre Productions. Gruesome looking is this Severed Thumb. 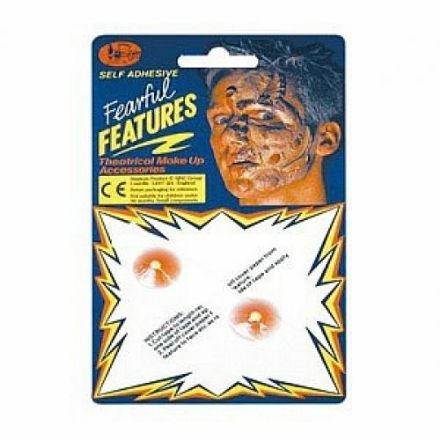 It is perfect for Pranks, Halloween Parties and Amateur Dramatics. 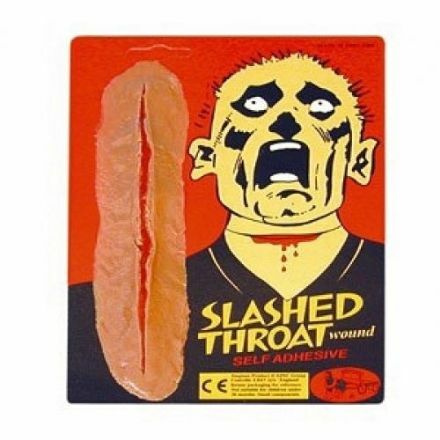 Slashed Throat Wound. 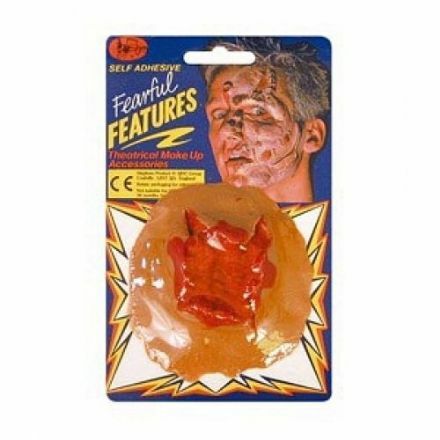 It will scare the living-daylights out of your friends and family..
Every wannabe Witch, Zombie or Goblin has to have some ugly Warts. 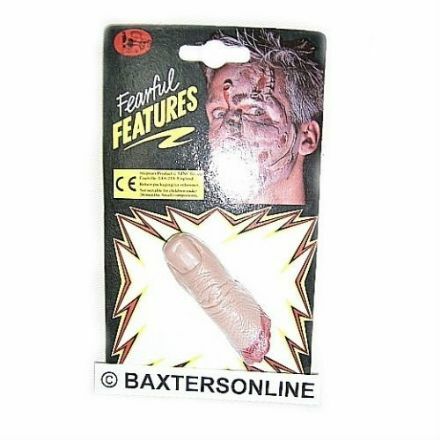 Fantastic for Plays and Halloween. 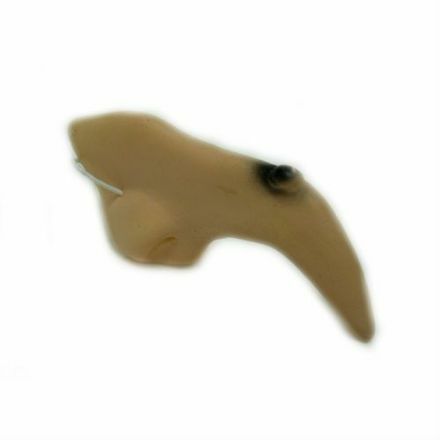 Ugly Witch Flesh Colour Nose will make your Halloween Costume look even better. Wound and Bullet Hole. Brilliant accessories for Monsters and The Undead. Scare your friends silly!